What part of our selves do we hide away in order to have a stable, prosperous life? Pippa Lee has just such a life in place at age fifty, when her older husband, a retired publisher, decides that they should move to a retirement community outside New York City. Pippa is suddenly deprived of the stimulation and distraction that had held everything in place. She begins losing track of her own mind; her foundations start to shudder, and gradually we learn the truth of the young life that led her finally to settle down in marriage–years of neglect and rebellion, wild transgressions and powerful defiance. 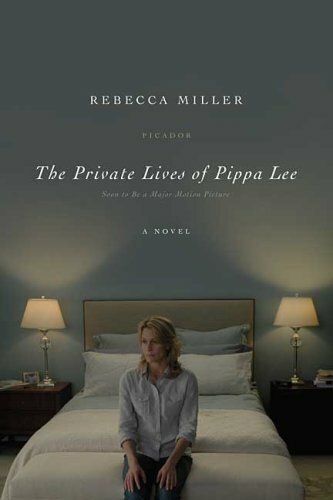 The Private Lives of Pippa Lee is the study of a brave, curious, multilayered woman–an acutely intelligent portrait of the many lives behind a single name. Rebecca Miller was a painter and actress before turning her hand to writing and directing. She is the author of the short-story collection Personal Velocity, her feature film adaptation of which won the Grand Jury Prize at Sundance, and the writer-director of The Ballad of Jack and Rose. Discuss the novel’s title. What private aspects of Pippa’s life did she have to leave behind when she married Herb? How does her true self compare with the persona she has to present to the public at Marigold Village? Who did you suspect of being the culprit of the late-night grazing? What does Pippa hunger for when she is sleepwalking? In what ways do the novel’s shifting points of view enhance Rebecca Miller’s storytelling? What does it mean for Pippa to narrate her early days, while her later years are recounted from an outsider’s point of view? How does the reading group described in “Cake” compare with yours? How would the Marigold Village group have responded if they had known about Pippa’s connection to Sam Shapiro? How do Ben and Grace compare with other twins you have known? How did Pippa respond to her children’s differing temperaments when they were young—for example, when Grace gave her ice cream cone to an impoverished little girl (becoming “angry at her own good fortune”)? How is Ben affected by his sister’s devotion to him? How did you impressions of Suky shift as you read about her life as a young mother and her eventual demise? What accounts for her obsession with dieting? How did her parenting style compare with Pippa’s? What was your opinion of Mr. Brown? Was he in love with Pippa? Was she gullible or savvy in pursuing a relationship with him? Should he have been punished more severely or less severely for his affair with her? Was Pippa’s taste in men in any way shaped by her father’s presence in her life and by his role as a religious leader? Was he a genuinely powerful man? What did Pippa learn about relationships by watching Kat and Trish interact? Was there ever an Aunt Trish in your life? What made Herb’s marriage to Pippa so much more enduring than his marriage to Gigi?What was at the heart of Herb and Pippa’s intense love for each other when they first met? Was he destined to be an unfaithful man, unable to control his urge to roam? Discuss Johnny and Dot’s marriage. What led Chris to develop religious views that were so different from those of his parents? What is the greatest source of friction in Johnny and Dot’s household? What, ultimately, is the measure of a couple’s success as a couple? Are there any similarities between Moira and Pippa? To what extent is youth a factor in determining Herb’s attraction to a woman? Is it risky to marry someone who is considerably older than you? Discuss the dream in which Pippa’s children devour her (“Early Days”) and the one in which she drives through a cloud of moths (“Hopper”). What do these images indicate about her perception of herself? How did her greatest fears evolve throughout the chapters of her life? What did you predict for Pippa’s future after reading the novel’s closing paragraph, which describes Pippa’s feeling of “an unfamiliar story unfurling” within her? What will Chris’s role be in her life?